Days out do not have to be expensive, nor do you have to forsake them when living frugally. Some fantastic days out cost no more than the petrol or bus fares used to get there or maybe you could even walk depending on the distance of your chosen venue! 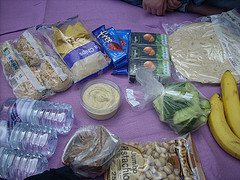 Picnics – pop some filled rolls or sandwiches, fruit, biscuits, juice, crisps etc. into a bag and head off somewhere nice. City parks are free and can provide an entertaining day out – they often have free events on during the summer months from outdoor concerts to acrobats. Country parks are much the same though often much bigger and better for long walks. Beaches are great – ask about good ones at your local Tourist Information Office – they are not always the obvious ones where everyone goes. One of the best family days out we ever had was at a quiet country beach with a very basic picnic – a pod of whales swam by jumping and spouting – it was amazing – no guarantees of that happening of course! All cities have some art galleries and museums that are free or extremely cheap to see round. Make use of them – you sometimes feel like you are seeing a whole lot more than you ever did once you try to be frugal 😉 See Rambles from the London Tube for many walks including details of sights and museums (many free). Discount London have many good sightseeing and theatre deals that are worth checking before you book elsewhere. If you are visiting attractions that make a charge try never to pay full price. Tourist information centres, libraries and many museums etc. will have leaflets advertising local events and attractions which often include discount vouchers. Many cinemas have an ‘early bird’ deal every day – for films starting before 12 noon tickets can cost half to a third less than usual – this varies greatly from venue to venue but it’s worth checking. Some cinemas have a cheap night instead. This book lists places that provide a meal or a quiet rest just five minutes from a motorway junction. The author has personally visited and selected over 200 entries in the guide which are included for their ambiance, friendliness, imaginative menus or peaceful surroundings. They do not pay for inclusion so each is chosen solely on merit. Each entry is illustrated by pen and wash drawing by the author, for ease of recognition. 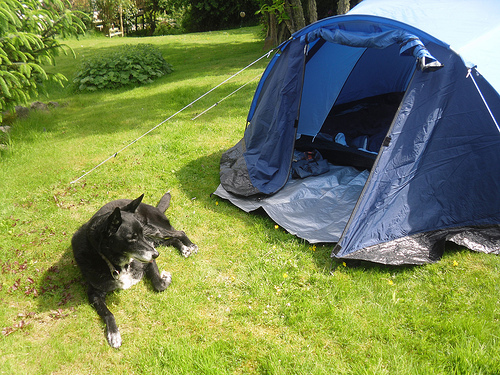 Special mention is made of the welcome for dogs and children and of any places of interest which are nearby. If you ever go anywhere by train check if you qualify for a Railcard as you could save quite a lot. They generally cost £30 and then save you a third off. There’s the 16-25 card, also available for mature students; the friends and family; the two together; senior; disabled persons; 26-30 and Network. Then there’s housesitting. Trustedhousesitters is the world’s largest house and pet sitting website connecting home and pet owners who need a sitter, when going away, with trustworthy people who want to house sit. With homeowners registered in over 50 countries – house sitting has been cited as a big travel trend. From townhouses in London to renovated farmhouses in Tuscany, apartments in Sydney and New York to beach homes in Hawaii – there are thousands of house sitting opportunities.